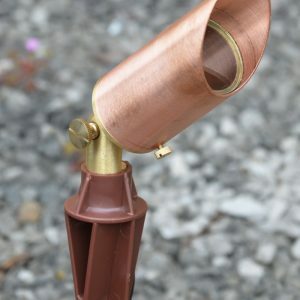 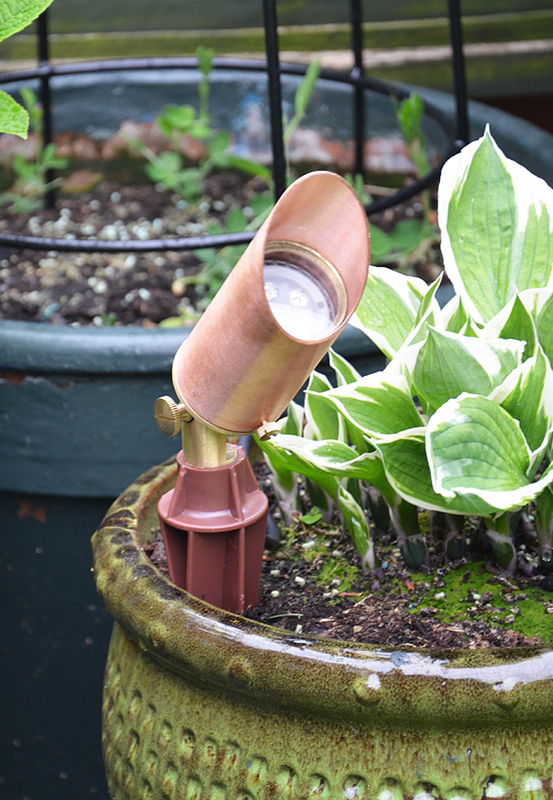 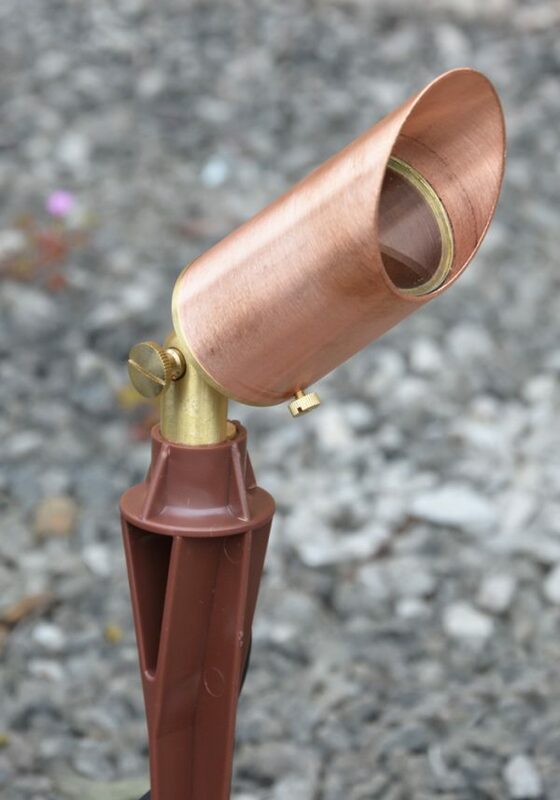 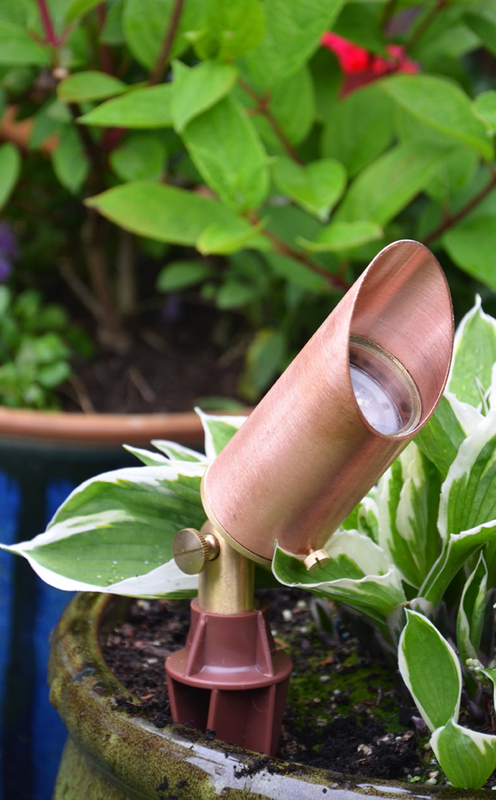 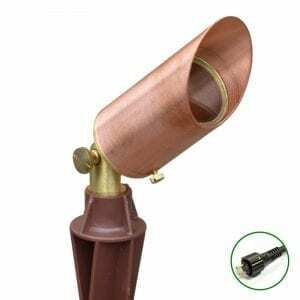 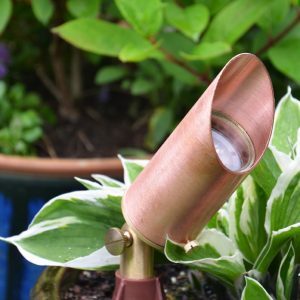 The Astros is a versatile and elegant 12v plug & play garden spotlight crafted from durable natural copper and solid brass. 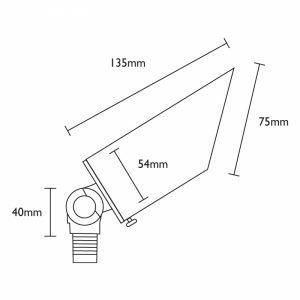 Use with a sturdy, 4 fin anchored polycarbonate ground spike for fantastic stability when fixing into the ground. 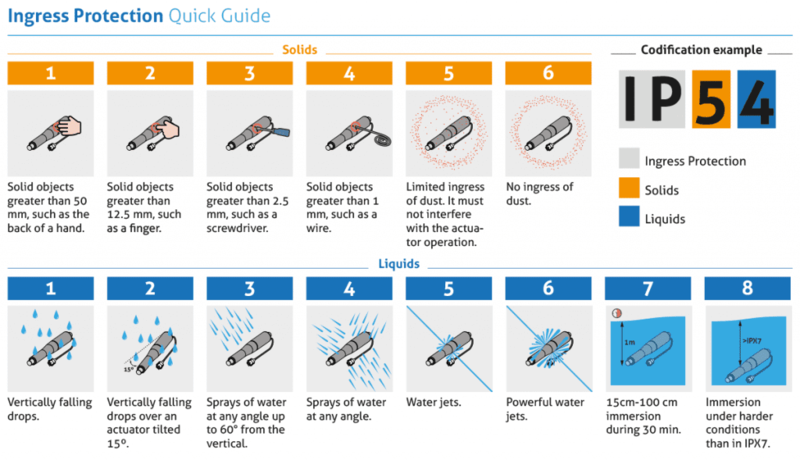 Or select another mounting option. 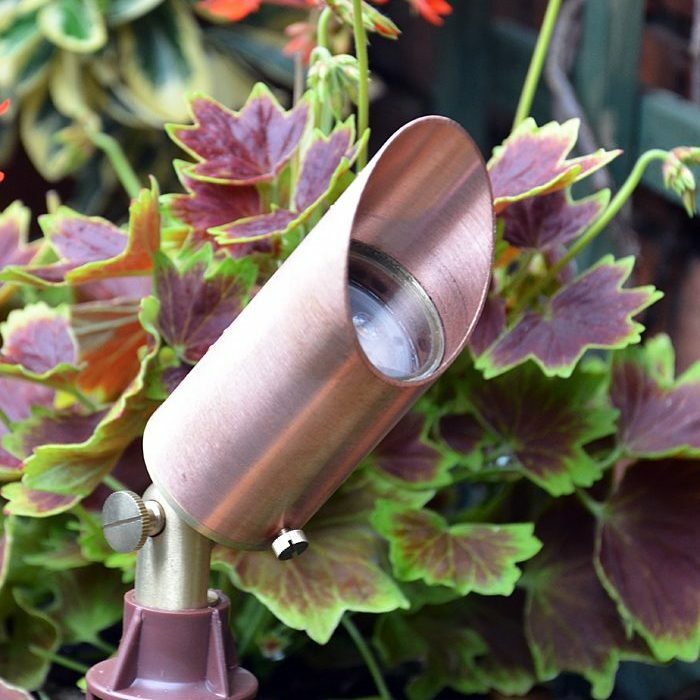 Solid brass details such as the base, fastener and clamp joint, add to the charm of this 12v copper spotlight. 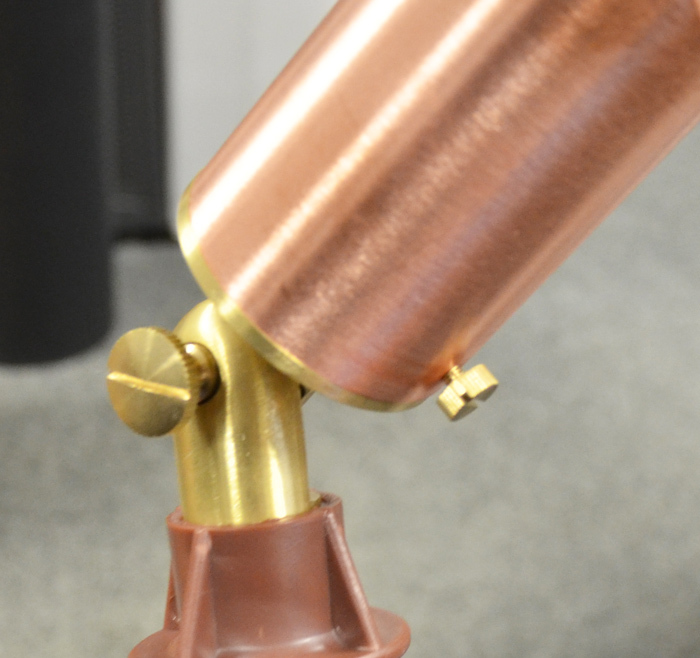 The brass serrated clamp joint enables the spot light to adjust to various heights over 180° (vertically). 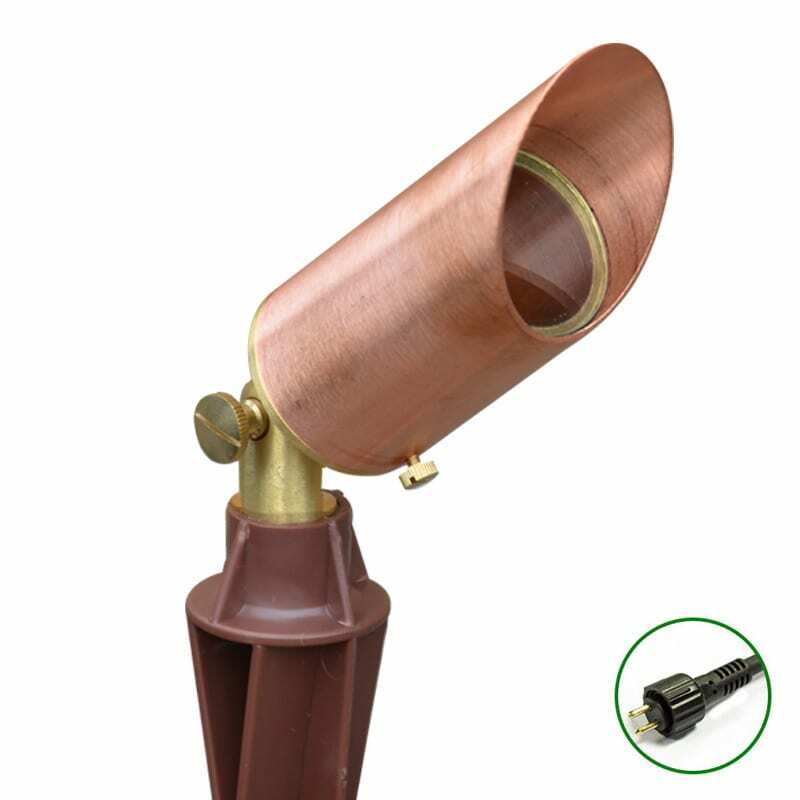 The integrated glare shield of the 12v Astros spikelight emits light in a focused spot beam rather than a wider flood beam. 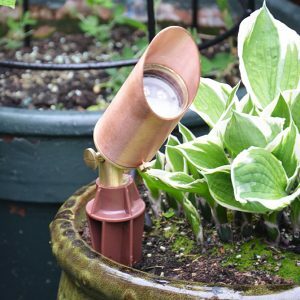 This makes it ideal for uplighting plants and trees, as well as highlighting specific statues or ornaments. 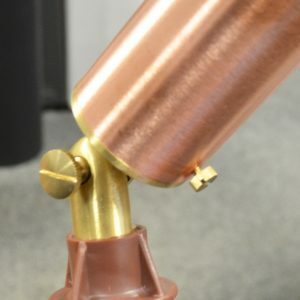 Like many 12v garden lights, the Astros requires an MR16 lamp, which is easily installed and replaced via the small brass fastener on the bottom of the light. Lumena recommend the use of a low voltage LED MR16 to save energy and money.